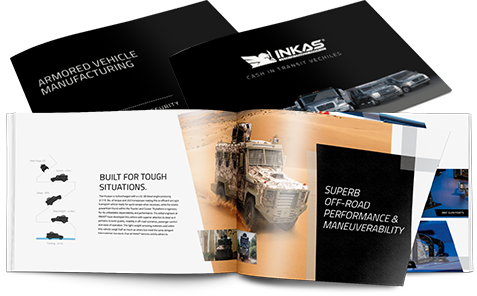 INKAS® Armored Vehicle Manufacturing is committed to standing behind its products and offering great customer service throughout the entire process. Please see below for a list of the most frequently asked questions as they relate to vehicle armoring in general as well as INKAS® as a globally-leading manufacturer of armored vehicles for all purposes. Should you still have additional questions, please do not hesitate to reach out by contacting +1 (416) 645-8725 to speak to a live agent or complete the contact form found on this page. What types of armored vehicles do you offer? INKAS® Armored Vehicle Manufacturing specializes in the design and production of a wide range of armored vehicles, including executive SUVs, luxury sedans, cash-in-transit vehicles, limousines law enforcement vehicles and personnel carriers. Which armoring protection level do I need? At INKAS®, we individually review each client’s request and offer protection level based on their geo-location, lifestyle, and threat level, among other variables. Please contact our representatives to determine the best protection level suitable for you. What is the difference between armoring protection levels? INKAS® adheres to various ballistic standards dependent on the region where the vehicle will be in operation. Learn more about the various ballistic protection levels . What’s the difference between regular and “light-weight” armor? When armoring a vehicle, there are a wide range of materials that can be used in order to essentially serve the same purpose. That being, to improve the ballistic protection level of the vehicle and prevent harm to its occupants. While super-thick and heavy ballistic steel can be used to armor a vehicle, INKAS® makes use of revolutionary light-weight armoring materials that maintain protection levels equal or greater to that of traditional ballistic steel, but weigh much less and offer better flexibility. Will the power windows still work? On any armored vehicle, it’s very important to ensure that all openings are well-protected. INKAS® offers armored vehicles with functional automatic windows however, they are typically restricted to 6” travel distance. This size of opening is large enough to pass packages or documents but also minimizes exposure for the occupants. How long it takes to armor the car? INKAS® customizes the assembly process based on the specific vehicle model and level of armoring, so the manufacturing timeline varies. Based on complexity of customization, the production time can take from a few weeks up to several months. For non-custom orders, we carry a stock of most armored sedans, SUVs and APCs for immediate shipping. How much weight added to the car during armoring? The added weight varies based on the armoring material used, type of vehicle, protection level and the original chassis weight of the vehicle. We strive to always find the most optimal option to maintain the performance and maneuverability of our armored vehicles, regardless of added weight. How much does an armored car cost? The costs involved in armoring vehicles highly depend on the specific vehicle’s model, level of armoring, optional features and the amount of special protection applications/technologies requested. The armoring cost may vary from $50,000 all the way up to $500,000 and beyond. Do you armor brand new cars or I can bring my own vehicle? Please contact our sales team regarding technical specifications of your vehicle to determine its eligibility for armoring. Is it hard to operate an armored car? As a result of the added weight, adjusted vehicle dimensions and special features, you will find that operating an armored vehicle is slightly different than a “soft-skin” vehicle. Depending on the requested armoring package, special training may be required. What is the difference between low-profile and high-profile vehicles? Low-profile armored vehicles are mainly used for personal / VIP transportation in hostile areas and provide high levels of security since they do not stand out from ordinary vehicles. High-profile vehicles have a conspicuous look and are designed for law enforcement agencies, cash-in-transit operators and riot control purposes. INKAS® offers after-market support, maintenance and spare parts. With our global partnerships, proven supply chain and broad distribution network, INKAS® can facilitate vehicles’ service and spare parts delivery in the most efficient and effective manner possible. If you require after sale support, please contact INKAS®. Which countries can vehicles be shipped to?  The INKAS® Manufacturing facility is based in Canada and governed by Canadian export controls. We adhere to all national regulations, terms and trade agreements. Each export sale is carefully reviewed by the UN sanctions committee and based on their decision, we proceed with the order. If you have questions regarding specific delivery destinations, please contact us. INKAS® aims to build long-term relationships with its clientele; and in order to do so, we strive to offer comprehensive after-sale support and warranty options on all vehicles sold. The warranty terms applicable to each vehicle’s sale are found within the INKAS® Sales Agreement issues to the buyer prior to purchase. For more details, please contact our sales team. Will there be any upgrade to the vehicles suspension, brakes and tires? Depending on the desired protection level, some of a vehicle’s components may need strengthening or reinforcement. With many years of experience in the industry, our engineering team is very capable of knowing in advance whether a vehicle’s suspension, braking or steering systems require additional modifications. Is it possible to visit the INKAS® facility? Absolutely. We will be happy to arrange a tour of our facility and showcase our production process. If required, our team will provide logistic assistance. Please contact us if you are interested in visiting INKAS® Armored Vehicle Manufacturing. Do you provide training course to learn how to operate an armored car? At INKAS® we offer special after-sale seminars and training workshops in order to educate our customers on the proper usage of their armored vehicles. INKAS® offers various financing options, for further information please contact our sales team. Can I become an INKAS® Authorized Distributor? If you would like to become a part of the INKAS® Dealer Network, please complete our dealer registration form. How can I get news about INKAS®? Feel free to sign up for the INKAS® newsletter and you will always be kept up-to-date on our latest promotions, deals and vehicle activities. Do you offer optional equipment and extra defence applications? To address the threats that customers face all over the world, INKAS® implements the best practices in technological innovation, design and quality management. INKAS® offers a wide range of applications within the realms of chemical attack protection, fire and drone detection, smoke screen system, remote weapon control system, signal jamming, riot control surveillance, safes and so on. For further information, please contact our sales team.